Here is just another long overdue blogpost that has been sitting in draft for God knows how long! smh! Anyways here is it now. On the 28th of December last year, Twists n Locs Salon in collaboration with the The Body Butter Company, organized a programme dubbed "The Natural Bazaar" at the W.E. DuBois Memorial Centre in Cantoments. This was a programme showcasing vendors of natural hair and body products and made in Ghana goods. It started around 2pm and unfortunately i missed all that part and got there around 6. Very late! The programme was to have a second part which was the natural hair meetup but unfortunately it didn't come off as no one stayed for it. I was to have given a talk during one of the sessions on my experience as a naturalista so far. I was disappointed it didnt come off as i had been looking forward to this since the organizers contacted me in the UK. Anyways since i was late i could not fully capture the stands outside as they were packing but managed to catch a few indoors. Please do well to enjoy the pics of the few vendors i could capture. Also feel free to ask me any questions concerning them. Can you believe the numerous posts i have sitting in draft?! Feels weird to be blogging again and feels like i need to try to find my way around it again. I was tagged by Jocel of BeautywithJocel and had the honour of being awarded the Liebster Award. This award is given to bloggers with less than 200 followers to recognize them and their hardwork. So i really do not like to do tags simply because i'm lazy however i do love reading them! So this year i promise to do my best to answer when i've been tagged. 3. 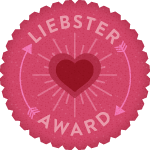 Choose 11 bloggers who you would like to give the Liebster Award. So i'll skip the random facts about me, erm that would mean doing two tags instead of one? Nah i'm good. lol! 4. Puff or bun? Bun, tried the puff, too much tangling and not worth it! 7. What's your best hair moment? When i big chopped! I felt good that i had done something most women feared to do and i believe i pulled it off. 8. Facebook or Google+ Definitely Facebook, i'm an addict! check out the NaturalistaGh Fb page! Here are my 11 absolutely random questions I have created for you to answer. Hehehehehe pls have fun lol! Most of the questions are which do you prefer and why? So i recently posted my 8 months natural photo and quite a few people asked me or commented about the progress of my hair. Seems there is an interest in going natural but the info isn't enough. So this has inspired me to write this series, Healthy hair, which would focus on the very basics when it comes to healthy hair care, relaxed or natural. So since the beginning of this year, i have been experimenting different looks on myself and i must say my eye makeup skills have increased!. Lol! Practice is definitely key. Anyways i should have blogged about them earlier during my blogging hiatus but oh well! here they are. Too bad i cannot fully remember the exact products i used for each and every picture, sighs! 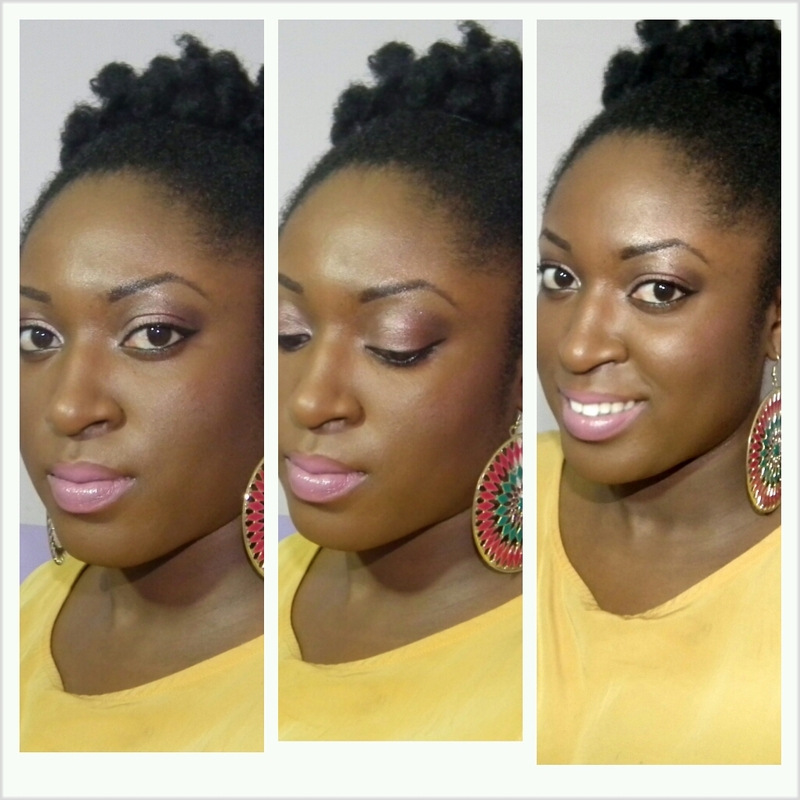 Anyways i am on instagram, @toniakye, so you can find me there and some of the looks i do for myself and clients. Oh yes i said clients! I am freelancing makeup now. 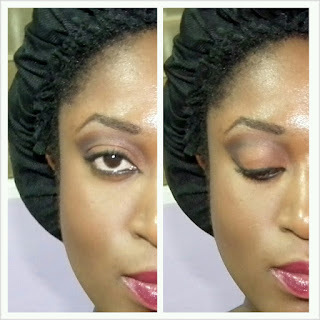 Find my page on facebook, Beauty Emporium Gh, where i have exhibits of my work. So i am available for bookings just send me a mail, beautyemporiumgh@gmail.com, if you are interested. I am super affordable, lol! Anyways enjoy these few pics. This a looooooong over due post. So i happened to be facebooking as usual on a Sunday night before christmas last year (yes very late post) when a page i had liked, All Pure Nature, posted a christmas carol contest which i quickly responded and emerged the winner. Yayyyyyyy!!!!!! I was really excited as i had previously thought of going there to review their shop and if possible some of their products. Anyways this company, All Pure Nature, is Ghanaian owned, based in Osu, Accra and specializes in all natural handmade skin cosmetics and hair care products under the brand Pure Essence as well as scented candles and some Ghanaian artifacts. Upon entry you are immediately greeted by the different scents which i found pleasant and not overpowering. Happy new year!!!!!! *waves* Hope everyone had a fantastic xmas and wonderful new year! I have been back home to Ghana since end of last year and i'm so happy to be back. Thoroughly enjoyed my xmas and happy to be back to the company of family friends and loved ones. Yep! i'm terrible! Been on a blogging hiatus is an understatement lol! First i didn't have reliable internet so blame my absence on GLO and then when tiGO finally sorted me out, erm...... there is no reason. Well i have been caught up facebooking instead of blogging. Ah! I have been working behind the scenes to start doing professional makeup part time. It's a big adventure for me and i hope it goes on well. Be sure to like my facebook page Beauty Emporium Gh as i would be showcasing most of my work there. Also i will be hosting a free giveaway with the chance of winning a free makeover, so be sure to like my page so you do not miss out! Ok since my return to the motherland i have rocked some long braids and also a full fringe weave. I have only had the chance to let my hair breathe on few occasions. However after wearing the weave for long i got fed up took it off and here is what i came up with. I now realise why my bestie Jeni tells me i have some momma (forehead) lol!